Lulu Ladybug Rocker Just $64.99! Down From $150! PLUS FREE Shipping! You are here: Home / Great Deals / Amazon Deals / Lulu Ladybug Rocker Just $64.99! Down From $150! PLUS FREE Shipping! 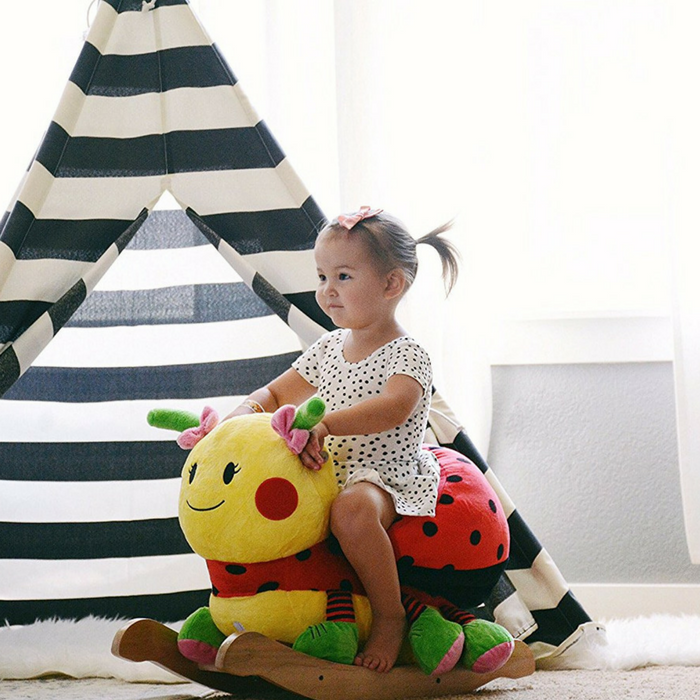 Amazon has this Lulu Ladybug Rocker on sale for just $64.99 down from $149.99 PLUS FREE shipping! LuLu, our lovable ladybug, makes a fun, colorful addition to a child’s nursery. Press the buttons on the back of her head and watch baby giggle as she rocks to original songs that teach. Baby will find 4 shaped buttons that activate original songs that teach ABC’s, 1-10, colors, shapes and more. Complete with a soft and cushioned seat, natural wooden base, and easy grip wooden handles. Hidden rattles and crinkle throughout to surprise the little rider. Lulu will keep baby smiling!